Blue Streak: A Louisville Memoir | THE RAVING PUNDIT: HOW I GOT SO SMART (IN MY OLD AGE)! This is the Junior Pundit speaking. June’s book, Blue Streak: A Louisville Memoir, has been released! It’s on our new imprint, Torcello Editions, and is available at the following link and at Amazon proper in about a week. We are so excited for June! 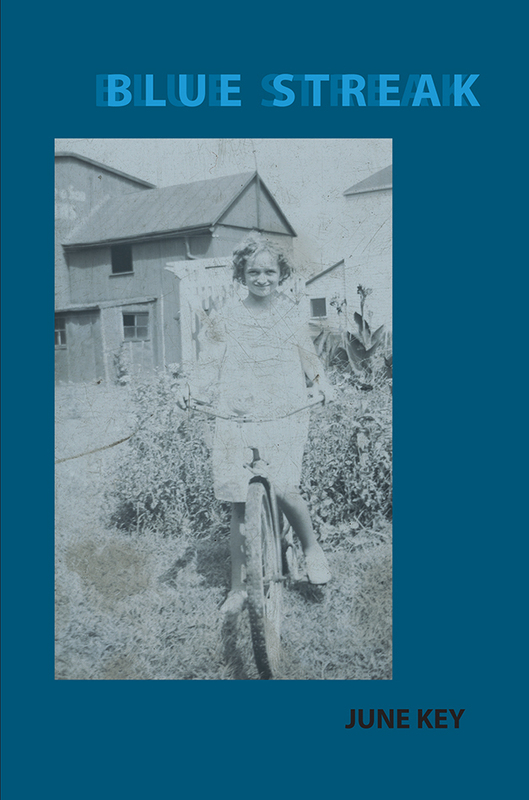 June Key’s life started typically enough in the West End of Louisville, Kentucky, where she was born into the Roaring Twenties and grew up in the Great Depression riding her beloved bike, Blue Streak, all around the streets of the city. But soon all signs indicated that Key’s life would not be typical. Dropping out of high school to work after her mother died and her father had left years earlier, she eventually became involved in the PTA through her kids, advocated for those with special needs, started a clothing bank for needy children, established nutritional programs for the hungry, then was hired by the school board, and became a leading community voice of reason as the Louisville school system integrated following a court order in 1975. From there she went on to help school systems across the country in their similar integration efforts. Her story covers an incredible range of experience from carting her mother’s homebrew around the neighborhood in a little red wagon during Prohibition to melting in amazement as she held the hand of the beaming Dalai Lama. And yet, through it all, she always remains the same sensible, curious, fearless girl she was when confronting the world on her Blue Streak. In her thousands of meetings and workshops with parents (often hostile), intimidated by the complications of schools, and fearful of change, she would say, get over your insecurities, become involved, do it for your children. In some way, her life is a contradiction: she is typical, a white-haired mother, grandmother, great-grandmother, but tough as nails, afraid of nothing and ready to move on to the next phase of her life. Writing this book and her blog, The Raving Pundit, (junekey.wordpress.com)on her iPad at her assisted living home, June Key, 89 years young, has a lot of stories to tell and hopes you enjoy them.